Chile's claim to 'the end of the world', Isla Navarino sits proudly in the Beagle Channel, its shores shaped by a battering, volatile climate. Like much of Tierra del Fuego, it is the rugged scenery that draws people here, especially the vast jagged mountain range that conceals one of the toughest treks in the region. Exploring here is remote and rewarding, and there's even a bit of comfortable lodging for those who seek it. Indigenous Yaghàn people lived on this island for 10,000 years, and there's a small museum dedicated to the island's history in Puerto Williams, Isla Navarino's only town. Puerto Williams markets itself as 'the southernmost town in the world', though this title hasn't yet brought the boom of tourism seen by the southernmost city, Ushuaia. Perhaps this is a good thing, the town retains a rustic charm and its isolation brings a proper sense of being at the end of the earth. A short ride out of town you can catch a boat down the Murray Channel to the beautiful Wulaia Bay, where a trail leads up to a stunning lookout. Peaceful and sheltered, this bay provided refuge for the Yaghàn and was also where Darwin came ashore in 1833. Fly fishing is a huge draw to the island, with abundant supplies of black and brown trout in remote rivers and lakes. Fish in some of the southernmost rivers, with the backdrop of snowcapped mountains. High above the water tower the island's 'teeth', the Dientes de Navarino mountain range. The trek that snakes around them is one of the main reasons people visit the island, and it's becoming more and more famous for its isolated, difficult terrain. Experienced trekkers will relish the challenge presented here, trails are often unmarked and disappear altogether in places, and you'll need to be comfortable wild camping. There's a consistent chance of snow, whatever time of year you go, and bracing against the fierce elements will be a daily occurrence. Those who dare will be rewarded with impressive views and a huge sense of achievement. I loved trekking in Tierra del Fuego, it was so different from Los Glaciares. We saw a bunch of animals and it was nice how remote everything was, it felt rugged. The boat from Ushuaia to Puerto Williams is an experience in itself. Spend a few hours sailing down the Beagle Channel, taking in the mountains on either side and getting a taste of the waves that make these waters infamous. If the weather gets too bad, you'll do a shorter crossing to Puerto Navarino instead, and can take a transfer to the town from there. Puerto Williams does have a small airport, you can fly direct from Punta Arenas in Chile in around 1.5 hours. 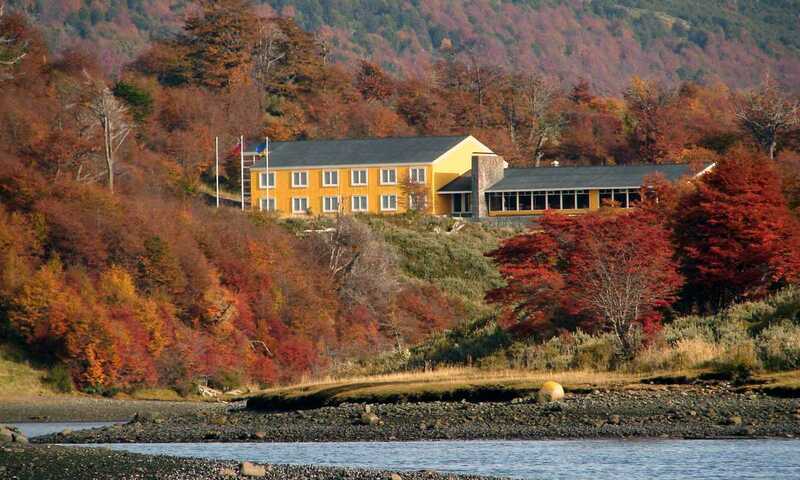 Puerto Williams hasn't seen the huge tourism boom of its neighbour Ushuaia, but there are still a few guesthouses to base yourself from in the town. If you're looking for a little more comfort and the opportunity to do excursions right from your front door, Lakutaia Lodge offers visitors everything from outings to the ethnobotanical gardens to challenging treks in the Dientes range to heli-fishing. From Ushuaia in southern Argentina, you can embark on an adventure cruise through the Magellan Straits, Tierra del Fuego and down to Cape Horn, getting up close to glaciers, penguins and whales. Ready to plan your Tailor-made Adventure? Get in touch today to talk about your dreams for your trip. 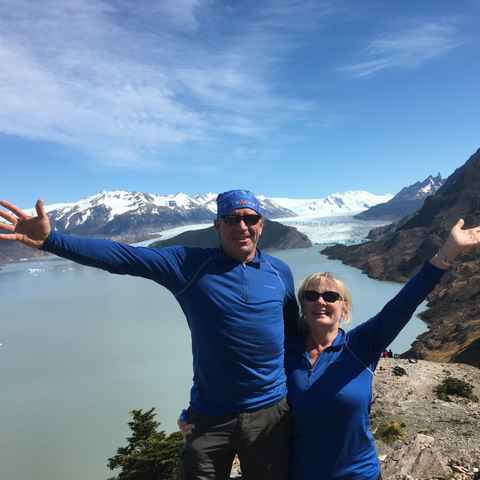 Whether it’s a 2-week or 2-month adventure, you’re travelling independently or in a big group, you want to see Patagonia in comfort or discover challenging hikes, we’d love to help.